Mjölnir hammer was so special a weapon in Norse mythology that no other weapon could rival it regarding power and reputation. Mjölnir hammer was the primary weapon of Thor who hardly ever went outside without Mjölnir. The power of Mjölnir was associated with lightning, thunder, and storm. 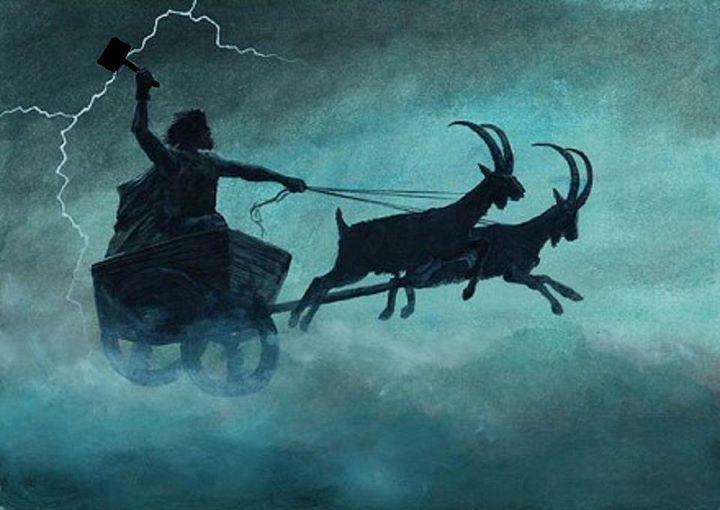 To the Vikings, Thor was one of the most respected gods because of his power and generosity. But the main reason why Mjölnir hammer became the protection symbol was that Thor often used Mjölnir to protect gods and human and give blessings. 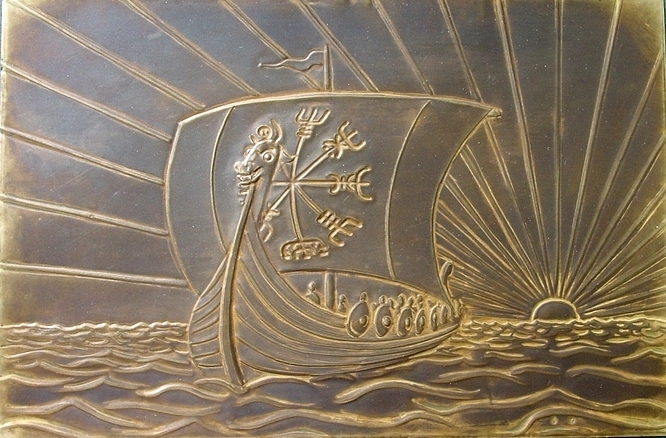 Many Viking warriors applied Mjölnir symbol to their jewelry or even inked it into their body with a view to being bestowed with the protection. With this holy protection, they would survive the battle and come back home. Besides protective purpose, Mjölnir hammer was believed to offer its wearers the strength and courage to battle against any enemy. In the modern time, Mjölnir hammer has still gained so much favor. The meaning of Mjölnir remains pretty much the same. People still wear jewelry of Mjölnir hammer or have Mjölnir tattoo because they believe it will give them the protection of Thor and Mjölnir hammer. Vegvísir (pronounced VEEG-vee-seer) was a famous Viking symbol for its power and outstanding design. The word Vegvísir meant “That Which Shows The Way”, for short it would be the “Pathfinder” or “Signpost”. The design of Vegvísir somehow resembled the compass; thereby, Vegvísir was also known as the Viking Compass. There were eight spikes radiating and pointing out toward eight destinations. The design of Vegvísir might be mistaken with that of Helm of Awe. However, while eight spikes of Helm of Awe were similar, those of Vegvísir were not. The most famous words about Vegvísir were that “If this sign is carried, one will never lose one’s way in storms or bad weather, even when the way is not known”. From those words, we could imply that Vegvísir was a symbol that would protect its wearers from being lost or harmed by any hostile force. 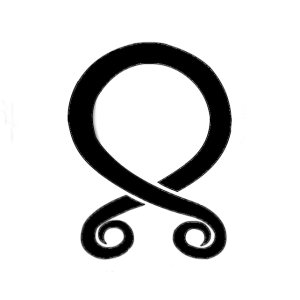 Viking seafarers applied this symbol on their ships wishing for protection on sea and a successful voyage. The modern application of Vegvísir is still recorded, jewelry, tattoo, and clothing designs for example. With the symbol of Vegvísir along the way of life, the wearers should not be afraid of any trouble or strange destinations. Because after all, this symbol will protect and guide you to the right place. Gungnir was the name of Odin’s spear. In Norse mythology, Odin the Allfather often appeared to be holding a beautiful spear in his hand. And yes, that spear was Gungnir the Powerful. If ever compared with other weapons, Mjolnir was the only one that could compare with Gungnir. Like Mjolnir hammer, Gungnir spear never missed any target once Odin hurled it. In the final battle of Ragnarok, Odin took Gungnir spear with him. Prior to the battle, he threw the spear into the giant army and yelled: “Odin Owns You All”. The surviving stories of Troll Cross were not so many. What we, in this day and age, know about Troll Cross is that the symbol was used to protect the Vikings from devil and trolls. The Vikings drew or fabricated the symbol of Troll Cross into their clothes, curtains, household things, etc in order to protect their family members. The Vikings used a long and thin iron and bent it into the symbol of Troll Cross to wear as an amulet.